The dining hall, bar and catering facilities are available for hire to other organisations to hold meetings and also for other functions, such as wedding receptions and private parties. The original Masonic Hall was opened in October 1875. You will observe the older brickwork to the left in the photograph. In 1925 the Building was greatly extended to its present form, which was dedicated by The Rt Hon. Earl of Ronaldshay, the Provincial Grand Master of Yorkshire, North & East Ridings. The building is home to five Craft Lodges, three Royal Arch Chapters, one Mark Lodge, three Knight Templar Preceptories and one Rose Croix Chapter. 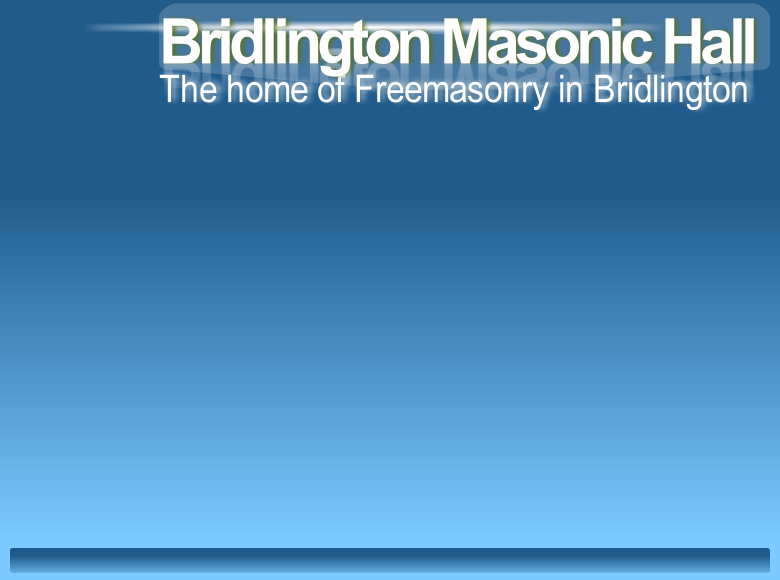 The ownership of the building is vested in Trustees of the three oldest Lodges who funded the expansion and it is managed by the Bridlington Masonic Hall Joint Management Committee consisting of representatives from each of the four original Craft Lodges.